Limited Express(has gone?) / チーターズマニア / CROCODILE COX AND THE DISASTER / DAIEI SPRAY / DEATHRO / FUCKER / NOT IT?YEAH! 9/22(Sat) / 23(Sun) @sandinista shift presents"do it"
act w/：sosite / FLUID / clisms / tiala / nemo / dancebeach / ヨルズインザスカイ / ワッツーシゾンビ / やけのはら / ウーネリーズ / mattia cletti(from italy) / U.G MAN　...more&more&moooore!!!!! / about me / mizm / (SHIFT / STENCH MASS GENOCIDE / WHAT EVER FILM / THE ONE COMPRESSIONS / endakadoruyasu 2007/10/6(Sat),7(Sun),8(Mon)@京都西部講堂＆講堂前広場&club Metro "Borofesta'07"
10/27(Sat)@Shinjuku MOTION "rhizome - rhythm FINAL "
11/11(Sun)@Shinjuku MOTION "loop & loop"
08/03/23(Sun)@O-nest Less Than TV presentsHOLLYWOODJUSTICE!!!!!!!!!!!!!!!!! 2008 6/20(Fri) @下北沢BASEMENT BAR & WEDGE "eetee"
(A HAPPY) NEW DAY RISING !!! w/HOSOME / wienners / KEEN MONKEY WORK / donkey vegetable voxxx!!! Limited Express (has gone?) ONE MAN GIG!!! KETTLES presents KETTLE 'EM ALL!! w/about tess / ARTLESS NOTE / imamon / the cabs / クウチュウ戦 / sajjanu / ソンソン弁当箱 / DACOTA SPEAKER. / 都心 / halt / 股下89 / worst taste"
folk enough『DISCO TAPE』 release party! 【07.23(Sat)】OPEN 17:30 - All Night!!! world's end girlfriend & BLACK HOLE CARNIVAL / 奇妙礼太郎トラベルスイング楽団 / Open Reel Ensemble / 漁港 / Limited Express (has gone?) / BiS / 青葉市子 / MOROHA / サカモト教授 / TRIPMEN / DJ 池田社長 / DJ G.L.T. w/FOLK SHOCK FUCKERS / DESERT / THE DAYSIES and more..
w/ 渋さ知らズオーケストラ / ZAZEN BOYS / downy / 長岡亮介（ペトロールズ） / MOP of HEAD / Yellow Studs / YOUR SONG IS GOOD / Analogfish / fox capture plan / toconoma / COSMIC NEUROSE / V/ACATION / SiNE / VOGOS / ロンリー / Have a Nice Day! / ニーハオ！ドラびでお！ / NATURE DANGER GANG / FUCKER / 柴田聡子 / ランタンパレード / KURIWATAHASHI …andmore!! w/ THE WEMMER / human great / Have a Nice Day! ■映画上映 : THE WEMMER"AMERICAN TANKTOP MANIA"
FACTORY(跡地) : 碧衣スイミング / FUCKER / 石原ヨシト / 板垣周平 (perfectlife) / ジョンのサン / 角田波健太 / 滝沢朋恵 / トゥラリカ / volume down and more !!!!! manchester school≡ 1st album "Lovers,Rubbers." release party !!!!! 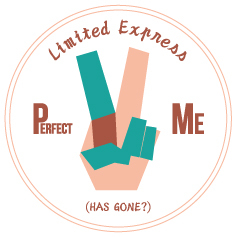 Limited Express(has gone? )×2MUCH CREW "CHAMPURU OF DOOM" release party !!!!! w/COUNT PHANTOM / Klan Aileen / DJ Taigen Kawabe (BO NINGEN) and more!!! w/ envy / MONO / downy / toe / mouse on the keys / jizue / THA BLUE HERB / DJ KRUSH / THE NOVEMBERS / world‘s end girlfriend / ROTH BART BARON / ART-SCHOOL / People In The Box / LITE / Klan Aillen…andmore!!! less than TV & PEXPOX & MISERY presents "METEOTIC NIGHT 広島"
w/ folk enough / LOOLOWNINGEN & THE FAR EAST IDIOTS / Never odd or even. DO IT 2018 -YAMAGATA MUSIC FES. Toma Pot pre "新春Motto Hotto祭"